A nice litlle new gmail feature was released. Now you can send empty messages without body without the gmail asking you about confirmation. 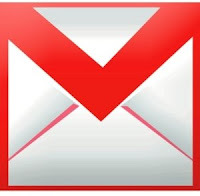 The addition of the feature was confirmed by the gmail Blog. I know that it is no big thing to take the extra second to click the ok button, but I am bothered everytime I want to do that. This is mainly because sending an email without a body means that you have nothing to say but a quick question that you usually put on the subject of the email. In order avoid gmail's confirmation dialog just type EOM at the end of the subject line.